Hey friends! Are you ready for some amazing outdoor inspiration? If so then you're in the right place! Today my friend Shauna at Satori Design for Living is hosting her annual Outdoor Extravaganza. There are 12 of us home bloggers joining her and we're sharing our best ideas and how-tos for a variety of outdoor topics. This week we're talking about plants and flowers. After you finish reading the tutorial keep scrolling and visit all the posts linked at the bottom. 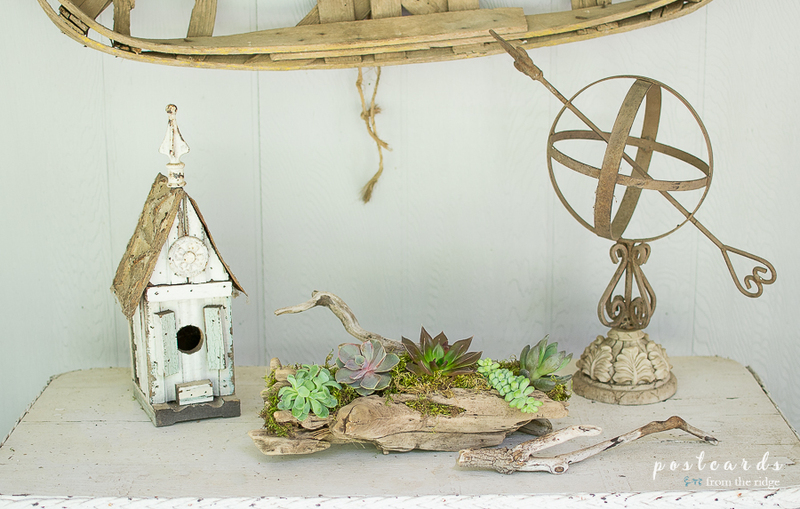 Next week we'll discuss outdoor decorating and entertaining so be sure to come back for that! New here? Welcome! I'm so glad you dropped by! You can take a quick tour of our home HERE, and get to know me better HERE. 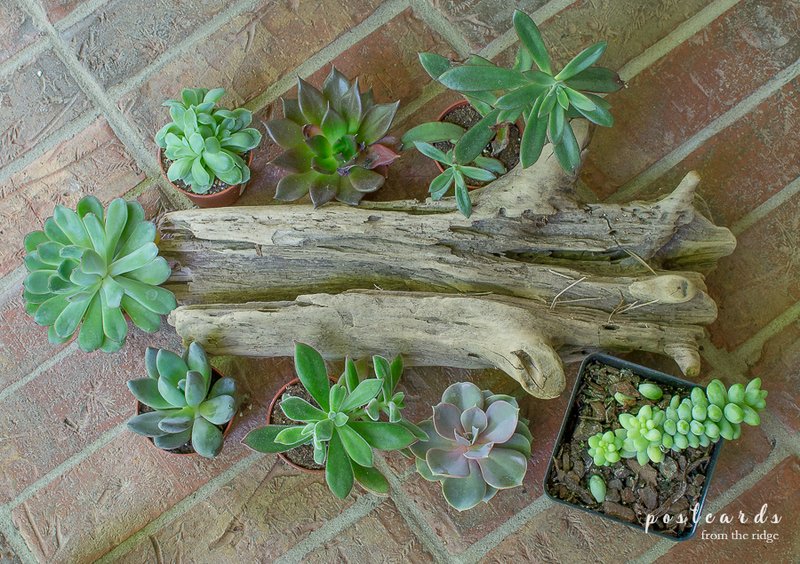 Now here's how I made this simple driftwood succulent planter! This project is a lazy gardener's dream! First, let me tell you how easy this project is. To be honest, I'm not much of a gardener. And any gardening that I do is on the lazy side, meaning that if it involves lots of pulling weeds or sweating profusely then I'm probably not going to be doing it. And here in Tennessee we get 90% humidity in the summer so not too much gardening happens in our yard. 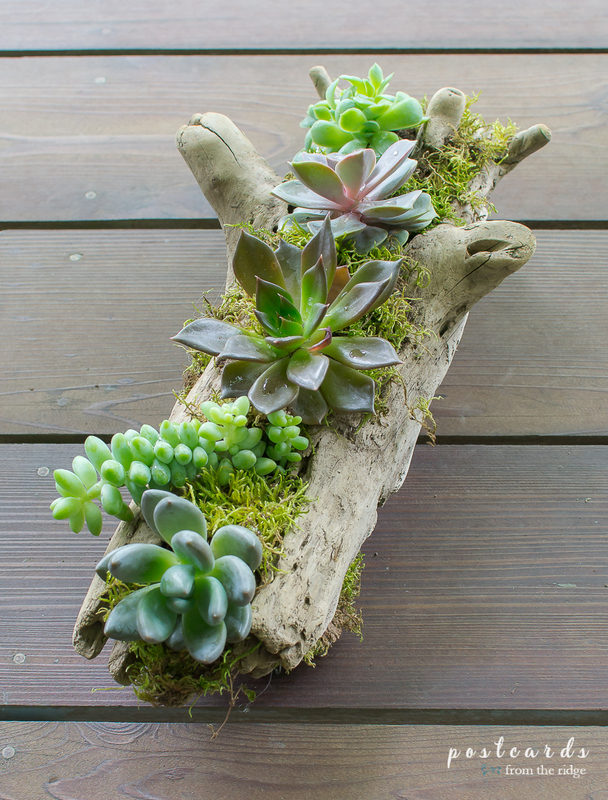 If you find a piece of driftwood that has cracks or crevices that are large enough for plants, this project will take less than 30 minutes. If it doesn't have a place for plants, you'll need to use a drill and a special hole cutting attachment to make holes in the driftwood. (Always follow the manufacturer's instructions when using power tools). Drilling the holes shouldn't take more than a few more minutes. It's a quick project either way. I'm a lazy gardener, remember?? 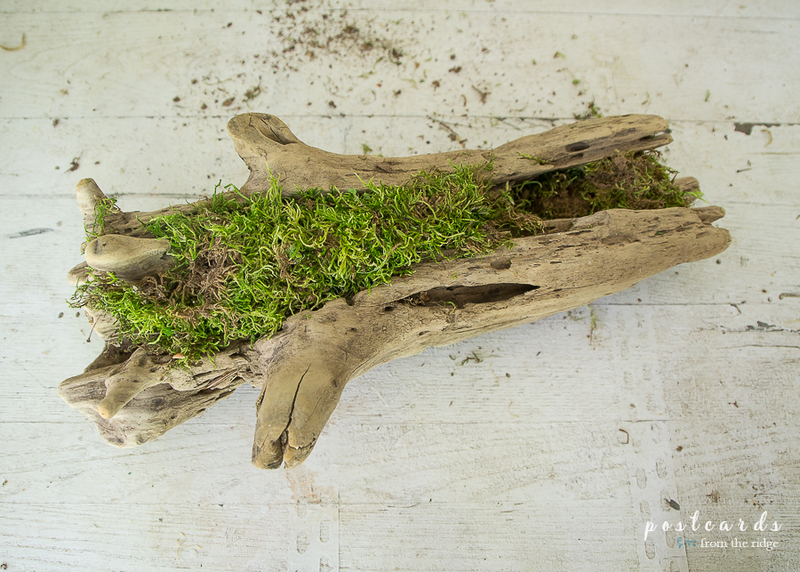 After you've drilled any necessary holes, add a bit of potting soil and Forest Moss or Spanish moss as filler to the driftwood. Plan where you want to place your plants and leave spaces there. 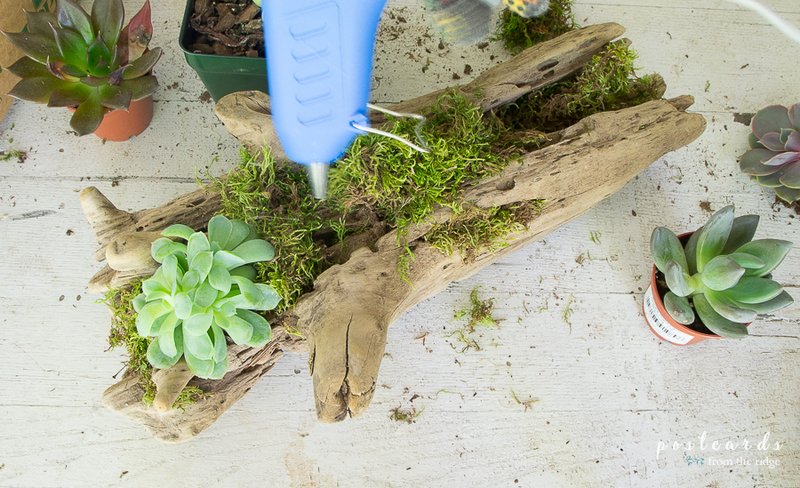 You can use your hot glue gun or just pack the moss in somewhat tightly. After all of your plants are in place you can add more moss around them for support. Moss also helps hold moisture. ENJOY! That's it! The succulents should be misted with water a couple of times per week. Definitely a lazy gardener's type of plants. So just a question, but does anyone else think my driftwood looks a little like a teddy bear? You see it now, don't you? Those little arms reaching out. Tell me you see it, lol. How simple was that? This is the first one I've ever made but have been crushing on them for some time. I'll definitely be making more now that I know how quick and simple it is. I've got some seashells and creek glass and a few leftover plants from this project that I want to add to my next ones. Stay tuned to see how they turn out!! 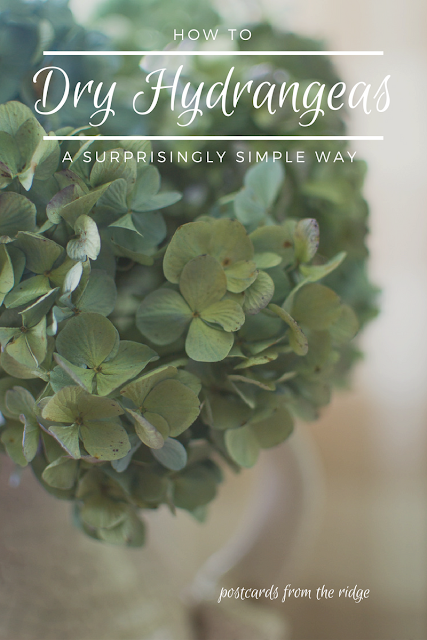 RELATED: if you love hydrangeas as much as me then you'll also like how I dry them. 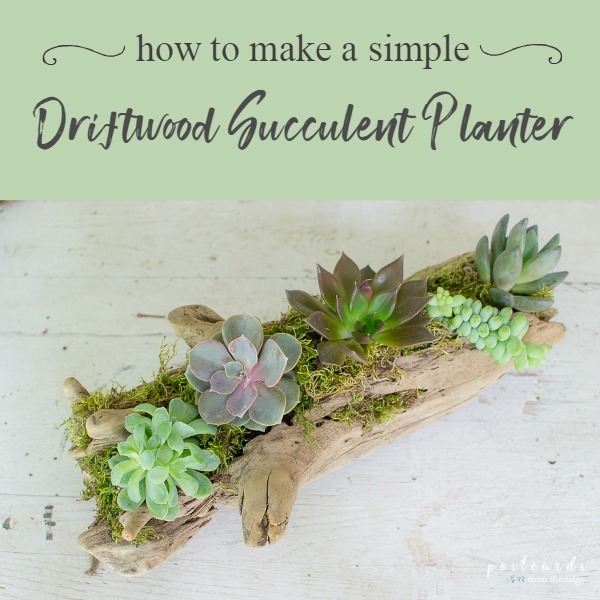 Even easier than making a driftwood succulent planter! Go HERE to see it. Be sure to visit all the home bloggers who are sharing ideas. So many beautiful plants and flowers! Click below to see them all. I guess we had the same idea, but they turned out so differently. Your version is beautiful! 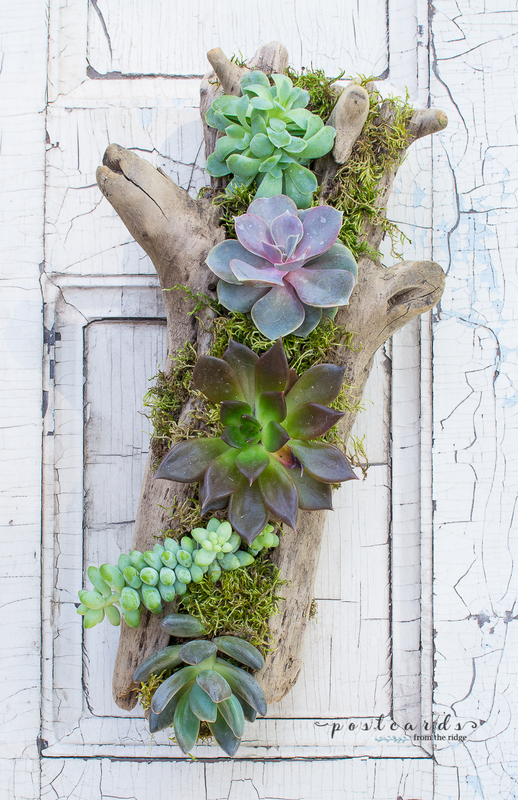 Don't you just adore succulents?! What a simple and fantastic idea! 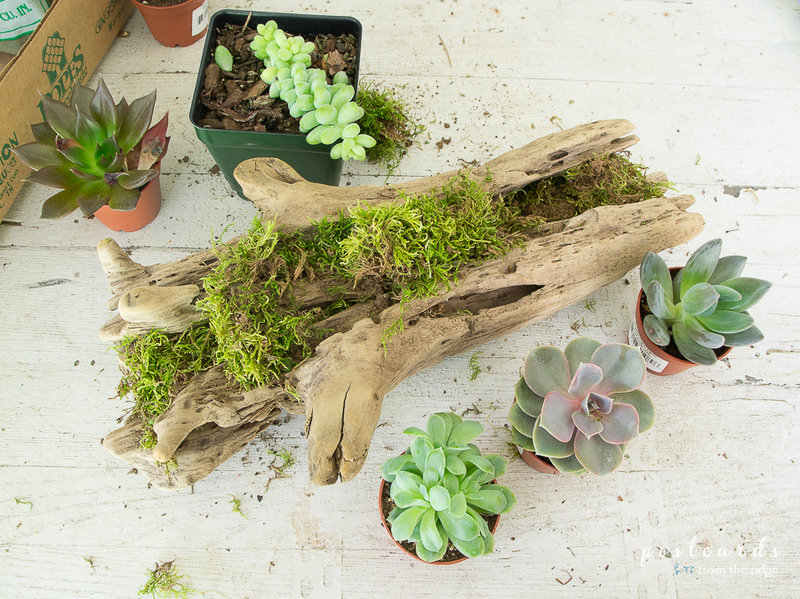 I really love the look of succulents with wood...so pretty and easy to care for! You know that succulents are my jam and now, you've let my secret out! haha Lazy gardener here too! 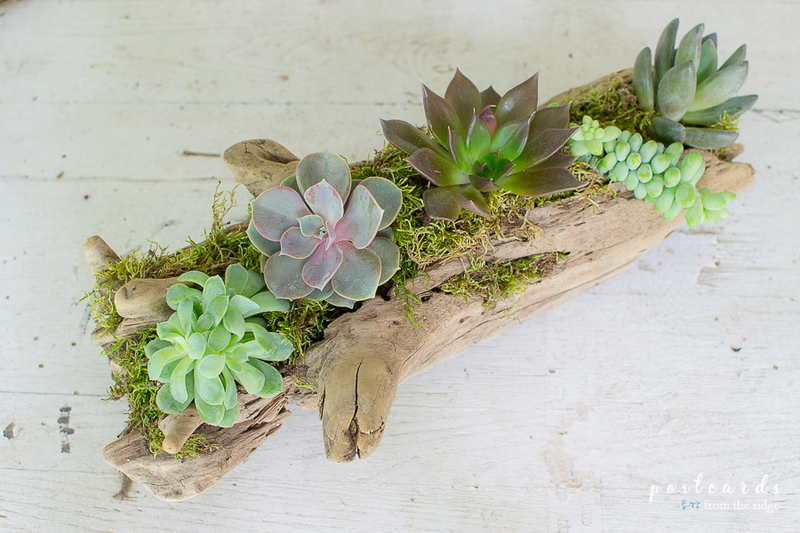 ;) I love the way these babies look all nestled in on the drift wood, this is totally a project I need to try! PS i totally see the teddy bear! Angie this is so cute!! 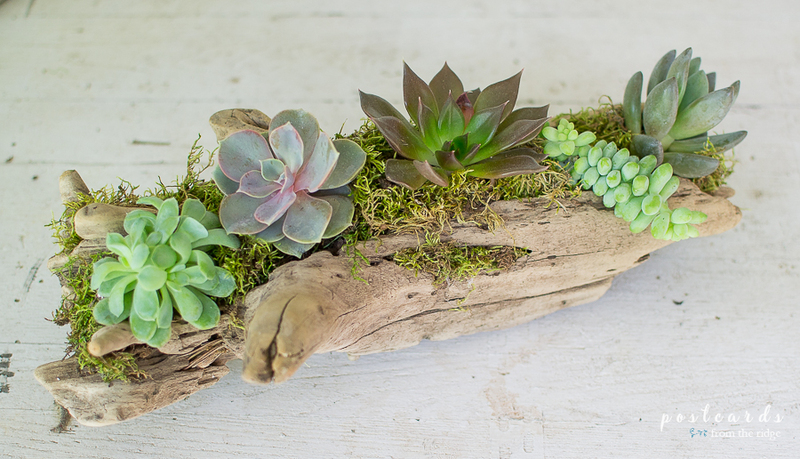 Love the succulents and it looks amazing with the driftwood. What a gorgeous combination.